Dishwashers Direct are proud to present the KROMO RK LUX line of rack conveyor dishwashers: a range of models with multiple accessories to offer tailor-made solutions for any customer needs. 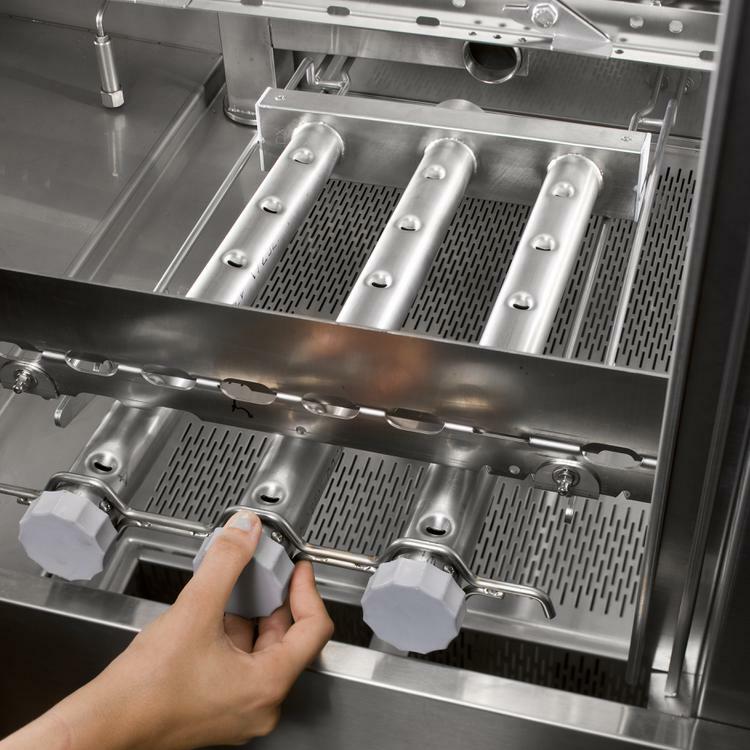 The KROMO rack conveyor dishwashers are the ideal answer for demanding environments such as restaurants, canteens, schools, hospitals, hotels and airports. 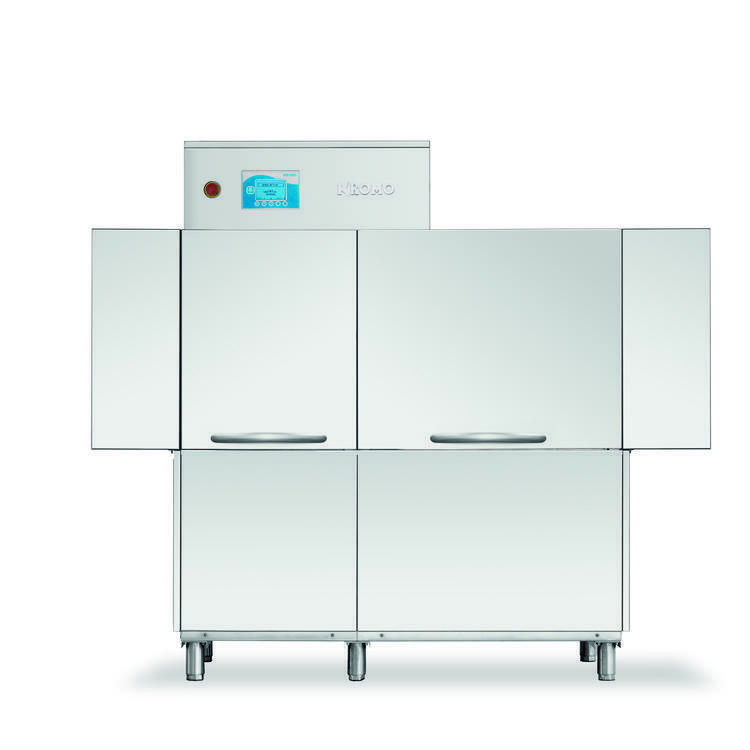 The KROMO RK2460 is a mid-range washer complete with built-in detergent economozier and a heat recovery system to help you improve energy efficiency and consumption. These features allow you to keep down operating costs whilst focussing on the environment. The KROMO RK2460 rack conveyor has a double skinned door that allows for quieter operation. With external rinse aid dosing and detergent pump using both hot and cold water supply, the KROMO RK2460 will run through 250 baskets (fast wash) which equates to 2700 plates per hour. The KROMO RK2460 is delivered within 4 weeks and we would recommend that you use our qualified installation service. If you choose to have this dishwasher installed by Dishwashers Direct, we will provide you with 1 year FREE Parts & Labour Warranty. If you choose delivery only, we offer parts only warranty. You can choose to upgrade and extend your warranty upto 3 years including parts and labour.